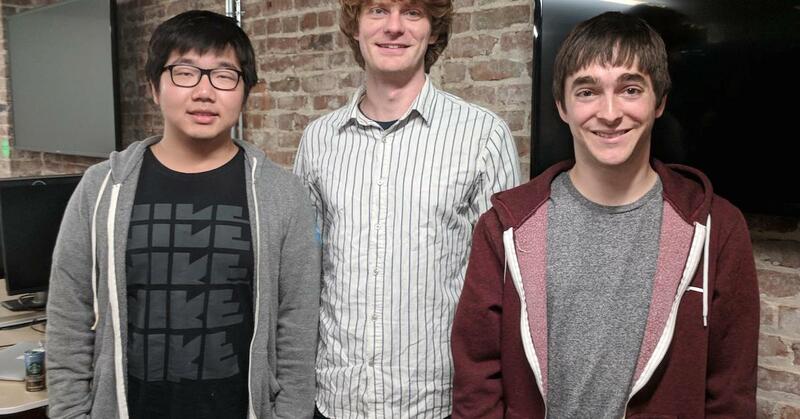 From left, Salesforce intern Jiatao Gu, chief scientist Richard Socher and research scientist James Bradbury. Jiatao Gu, a PhD student under the supervision of Prof. Victor OK Li, Chair of Information Engineering, Department of Electrical and Electronic Engineering at the University of Hong Kong, was interviewed by CNBC on a new way to translate text which is much faster than existing methods. Jiatao, an RGC HKPF awardee, is an intern at the AI Research Lab of Salesforce, San Francisco, California, USA. Existing approaches to neural machine translation condition each output word on previously generated outputs. Working with Salesforce researchers and his supervisor, Jiatao has introduced a new method that avoids this dependency and produces outputs in parallel, allowing an order of magnitude lower response time.